New Zealand dairy farmers are successfully bucking a long-term trend of declining dairy cow fertility. 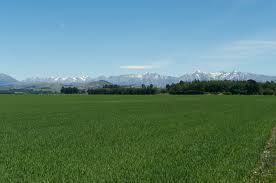 This is according to co-op LIC, Livestock Improvement Corporation and Dairy New Zealand figures. Its data, released this week, show the average six-week in-calf rate on dairy farms around New Zealand has increased by three per cent since 2010 to 65 per cent. It estimates that this is worth around $110m in additional on-farm profit. DairyNZ said it is optimistic the new data signals the start of a real turnaround in an issue that has proved a hard nut to crack for its industry. The challenge is how to sustain this direction, noted LIC. It says the increase was worth $150m to those farmers that made the improvements in 2012, based on recent payout levels. There is at least $400m in profit to be made if the average six-week in-calf rate reaches the industry target of 78 per cent, the organisation added.